The SUV will also adopt new powertrain lineup. The advent of new SUVs like the Tata Nexon, Mahindra XUV300, Tata Harrier, Jeep Compass, etc., on either side of the size spectrum has put crossovers like Maruti S-Cross and Hyundai Creta in an awkward position in the market. The highly successful Hyundai Creta is expected to bear most of the brunt due to this change in market dynamics. The Creta now finds itself in a niche where it is considerably pricier than the sub-4 offerings and considerably smaller than the likes of Harrier and Compass. In order to sustain its place in the market, the Hyundai crossover must move up the ladder in terms of size and equipment. 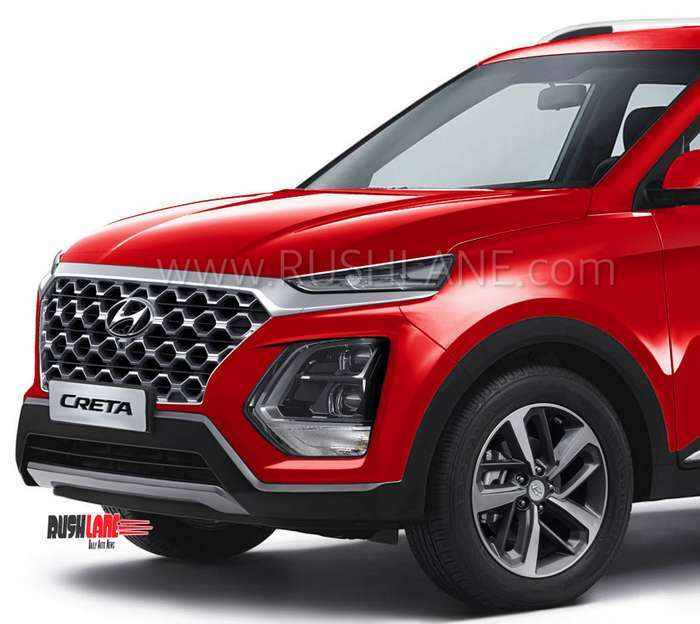 That’s exactly what the South Korean automaker has in mind for the next generation Creta which is due to make its premiere next year. The 2020 Hyundai Creta will be significantly longer to accommodate additional row of seats. Such a move will not only help Hyundai mount a better onslaught at the new Harrier and next-generation Mahindra XUV500 but it will also free up enough room for the upcoming QXi (codename) sub-4 meter SUV in Hyundai India’s portfolio. Our in-house rendering specialist, Pratyush Rout has envisioned the next generation Creta with Hyundai’s modern global design language. The rendering also has taken the size increase into account. Increasing the wheelbase along with the overall length of the vehicle will make the new Creta look proportionate and result in better interior packaging. 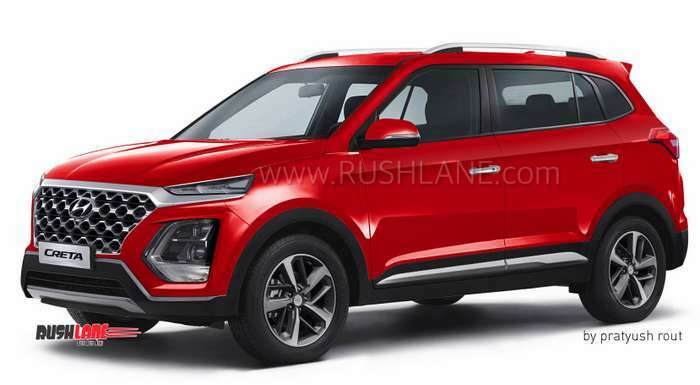 Going by the Kona’s design traits, one can expect the next generation Hyundai Creta 7 seater to sport more expressive hexagonal grille, narrow LED headlamps, prominent foglight enclosures, and a sharp chin. The increased overall dimensions would add to its road presence. The 2020 Hyundai Creta is expected to adopt new 1.5-liter petrol and diesel engines (BS-VI compliant). Both manual and automatic transmissions will be on offer.